Maine State Prison presently has a Correctional Plant Maintenance Engineer I position available at Warren, ME. This position is open to current Maine DOC employees who wish to transfer to this facility and all outside candidates. As a Correctional Plant Maintenance Engineer, you work will involve the operation of a high-pressure steam generating plant; the maintenance and repair of boilers, water, heating, sewage, and electrical systems; the installation and maintenance of pumps; and the repair of turbines at the facility. You will also be responsible for instructing, overseeing and monitoring an inmate work crew assigned to completion of plant maintenance tasks. Work is performed under limited supervision. Monitors and directs the operation and maintenance of a central heating plant, or several low-pressure plants used in heating individual buildings in order to heat facilities effectively and economically. Inspects and oversees operations and maintenance of heating plants, and electrical power generating equipment operated by the facility to ensure serviceability. Performs the more skilled and complex maintenance jobs to ensure heating plant operates correctly and work is properly done. Lays out and inspects the work of skilled tradesmen, maintenance workers, and inmates ensuring work is accomplished per established standards. Monitors and controls inmate behavior to accomplish assigned tasks and maintain institutional security. Supervises and instructs inmates working on maintenance projects in order to ensure work is accomplished correctly and safely. Keeps related records and prepares reports to document activities and provide information for administrative review and planning purposes. Requisitions supplies and materials needed in the operation and maintenance of the plant and mechanical department to ensure availability of needed items. Monitors and directs the operation, maintenance, and testing of a sewerage treatment plant to ensure plant operates properly. Knowledge of the principles, practices, and techniques of heating plant operations and maintenance. Knowledge of the occupational hazards and safety precautions of the mechanical and building trades and in the operation of steam/electric power plants. Knowledge of the mechanical and building trades. Ability to use a variety of power and hand tools. Ability to read plans and to work from sketches and specifications. Ability to plan, assign, and direct the work of journeymen, semi-skilled and unskilled workers and inmates. Four (4) years of experience in the operation and maintenance of steam generating plants and maintenance of repair of water, heating and electrical systems in a large commercial or public plant. 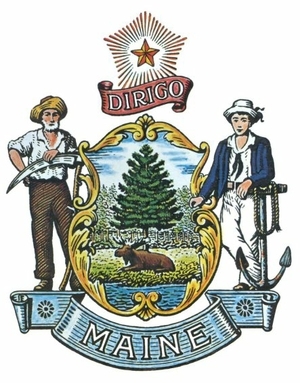 Possession of an engineer’s license of the class required by the State of Maine for the equipment to be operated. Maine State Government is an Equal Opportunity/Affirmative Action Employer. We provide reasonable accommodations to qualified individuals with disabilities upon request.